What were your major concerns/problems at the initial evaluation? Unable to do math problems accurately or copy numbers correctly. What changes have you seen since beginning the Vision Therapy Program? 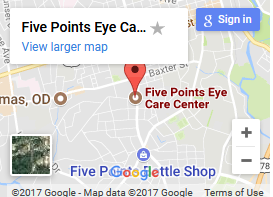 Would you recommend the Vision Therapy Program at Five Points Eye Care Center to others? Yes! Therapy has helped Dylan quite a bit. Much easier to finish homework, reading fluency is much better. Letters moving around on the pages, comprehension issues, struggled with reading, headaches, red eyes, easily frustrated. Reading grade went up 8 points in one quarter. New love for reading. Frustration levels are down. Feeling more confident. Yes! I’ve already shared this program with Koen’s teacher and he is going to refer students to you. Noemi is excellent at what she does and has a passion for visual therapy. Koen was able to overcome many of his issues in just 7 sessions! It was her direction and encouragement that made the difference. We are thrilled with the changes. We can’t thank Dr. Meg and Noemi enough! Koen’s life is greatly improved, thanks to their knowledge. Both of them charmed Koen and he’ll never be the same. Jaden’s right eye was having problems staying in sync with his left. It was causing problems with his ability to focus on tasks at school. His eyes have synced up better. His ability to focus seems to have improved. The program is tough to maintain, but rewarding to see the results!